Louis Cleage was my paternal great grandfather. 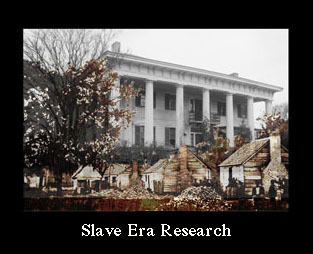 Lewis was born into slavery about 1852 in McMinn County Tennessee on the plantation of Alexander Cleage. I first found him in the 1870 Census in McMinn county, TN living with his family. His age was listed as 16 and he was neither employed nor in school. His father, Frank, was a laborer. 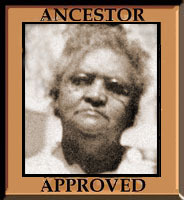 By 1880 Louis was married to my great grandmother, Celia Rice Cleage, and 4 of his 5 children had been born. My grandfather, Albert, would not be born until 1882. Louis’ age was listed as 28 and he was farming in Loudon County, Tennessee. By 1900 Louis and Celia were no longer together. Celia lived in Athens, Tennessee with her second husband, Roger W. Sherman. The children lived with her and were attending school. Louis was working as a furnace laborer in the iron and steel industry that had grown up in Birmingham, AL. He had not been unemployed during the past year. 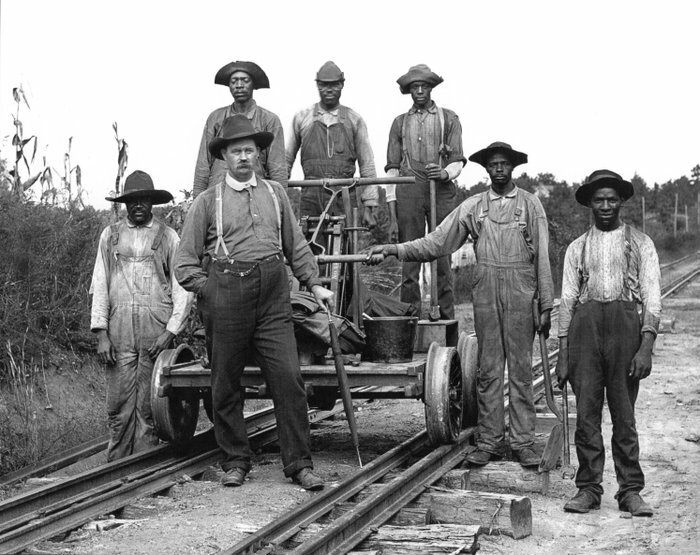 In the 1910 Census Louis Cleage was in the Chattanooga, Tennessee area working as a railroad laborer. He was enumerated in a railroad camp. He was listed as 54 years old and had been in his second marriage for 11 years. He was a wage worker and has not been unemployed during the past year, including the day before this census was taken, April 29, 1910. At age 54, there were only two men in the camp older than he was – 56 year old Lee McConnel and 70 year old Fate Parker. Most of the men are in their 20s and 30s with a good number in their late teens. Louis could neither read nor write according to all the censuses. On his death certificate in 1918 his occupation is listed as laborer. His children all finished high school. Several of his sons graduated from college. My grandfather, grew up to be a physician. Uncle Edward was a barber with his own shop. Uncle Henry was a teacher and, after his move north, a postal worker. Uncle Jake (Jacob) was a teacher and, after moving to Detroit, a Wayne County deputy. 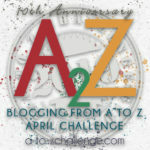 I got the idea for this post on the Blog, Reflecting on Genealogy. Wasn't that a dream for all those who couldn't read or write: to have all their children do better than they did, finish high school, graduate from college, etc. 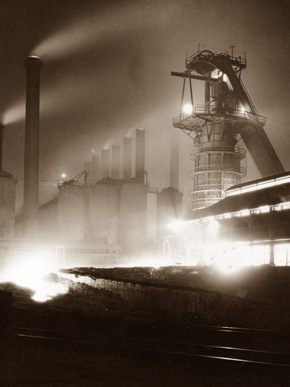 It sounds like he lived a hard life, and the photo of the Sloss Blast Furnace, together with my experience of such places, is evocative. Thank you for sharing their lives with us. Another really interesting post. Lost of history here I had no idea about. Nice photos Kristin. Great post! The picture of that past furnace created all types of images for me.